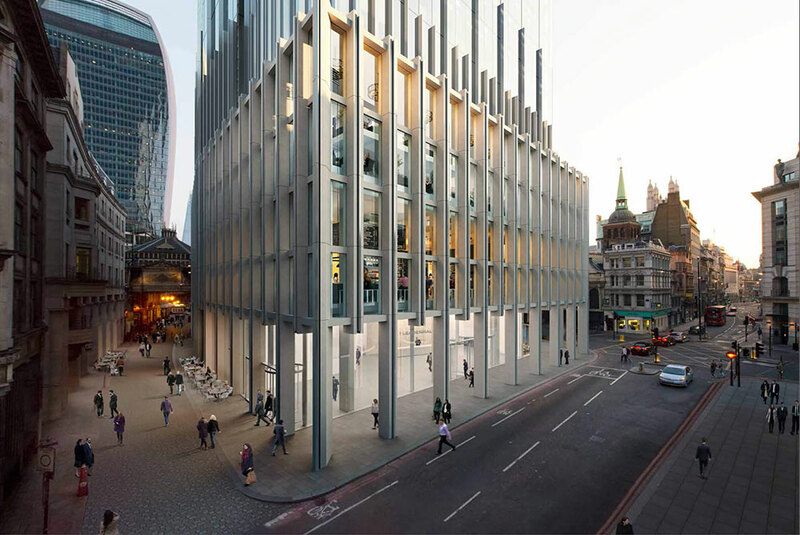 Yet another skyscraper has this week been approved for development in the City of London with Brookfield Developments and Make joining forces to deliver ‘1 Leadenhall Street’, a 36-storey tower adjacent to Richie Rogers, Cheesegrater. Comprising 538,000 sq ft of high specification office space, the project will be almost identical in height to the nearby Walkie-Talkie and while it may not shout and scream like its neighbours, the scheme still has a certain charm. Designed to complement its Architectural surroundings and embrace the heritage of the nearby Leadenhall market, the design includes a public terrace and retail area. Despite this, it has been the subject of criticism from some, including the Victorian Society, who consider another skyscraper in the area inappropriate. In addition to concerns with the concept design, the plans also require demolition of the existing postmodern low-rise and with the site on top of the ancient Roman Forum, the biggest building in Londinium, the Groundworks could prove fruitful for archaeologists but cause delay to the construction programme. Despite these issues, the Mayor of London approved the building for development this week and Make and Brookfield Developments now have the green light to proceed. The pair are developing a rich portfolio of work together with 1 Leadenhall following closely behind the London Wall Place development soon to complete in Moorgate. Brookfield Developments have confirmed the programme could commence in early 2018 with construction lasting upward of three years. Specialist packages of work will therefore be out to tender in the coming months and you can stay posted on C-Link for further updates.